When Heidi is sent to Frankfurt to be a companion to Clara (Zuleika Robson), the crippled daughter of successful businessman Herr Richard Sesemann (Maximilian Schell), Heidi and her grandfather are saddened at their parting. 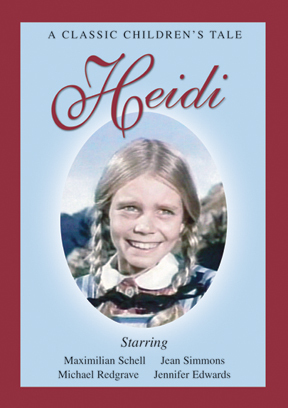 Heidi finds Clara°s governess, Fraulein Rottenmeier (Jean Simmons), to be a kind woman, but the spoiled Clara is mean to Heidi. Heidi soon wins her over, though, and they become good friends.